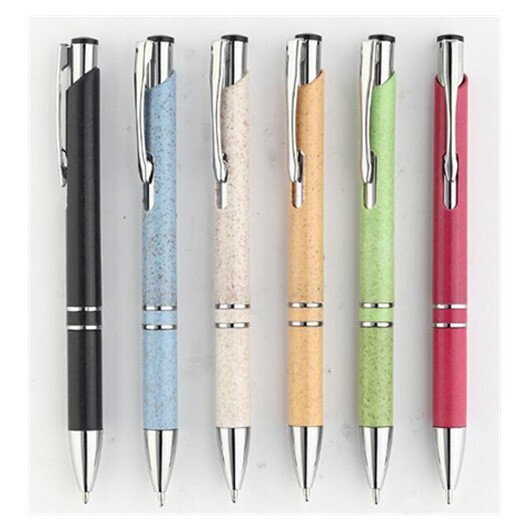 Made from wheat stalks these Eco friendly pens are guaranteed to promote an Environmentally conscious message. Made from left over stalks from harvested wheat these pens are made from 100% renewable and biodegradable material. It's great for the environment by reducing the amount of plastic used and puts your organisation in a good light. The pens have click action functionality with 1200m of black German ink and a tungsten carbide ball for superior writing quality.